Lovely blouse from HAPPY HOLLY. 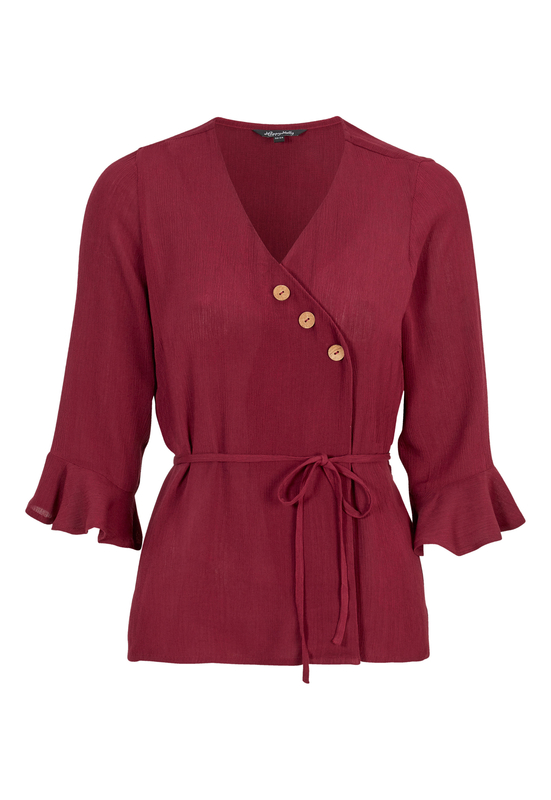 The blouse has a wrap style with a tie waist and fancy flounce details at the wrists. Can be worn together with the Trilly Frill Shorts, art. no. 607698. Length from shoulder 62.5 cm, bust 100 cm in size 36/38.